Family will headline this year’s Rockin’ The Park festival at Clumber Park, Worksop, Nottinghamshire, on August 16. It’s their only festival appearance of 2013 and follows their acclaimed reunion shows in London on February 1 and 2. They’ll be joined by Asia, Caravan, Snakecharmer and Michael Chapman at the one-day summer event, which is part of a three-day series of individual festivals. Earlier this year singer Chapman discussed his disappointment that, while Poli Palmer, Rob Townsend and Jim Cregan returned for Family’s first shows in over 40 years, guitarist Charie Whitney declined his invitation. 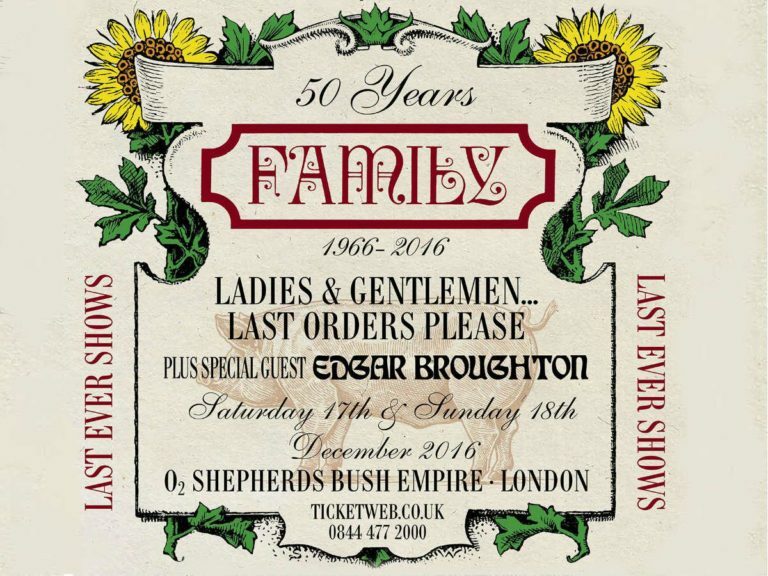 A VIP aftershow party will take place following Family’s Rockin’ The Park set – but only 400 tickets will be available. Find out more. Meanwhile, Asia have confirmed their first gig with new guitarist Sam Coulson will take place in Milton Keynes ahead of their Sweden Rock set. The 26-year-old, who replaced Steve Howe in January, will take his first bow at The Stables on June 5. 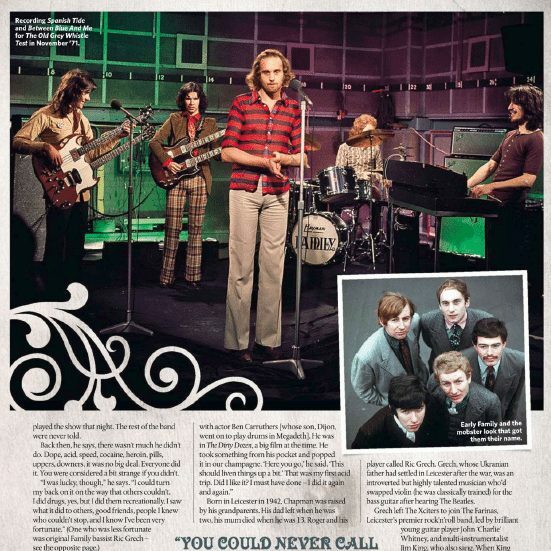 Previous Family features in this months Uncut & Shindig!